The two-disc package (Deluxe Edition) of THE GREATEST SONGS OF THE SEVENTIES contains a DualDisc (CD + DVD) with new versions of 12 classic songs by other artists from the ’70s on the audio layer, and “The Making of the Album” with Barry reflecting on the music and the decade on the video layer. The bonus CD will contain stripped-down acoustic versions of Barry Manilow titles. 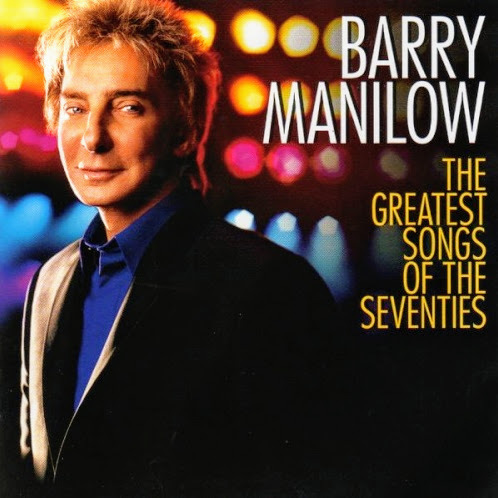 “Even Now” (1978) Music by Barry Manilow, Lyrics by Marty Panzer, Published by Swaneebravo Music/Careers-BMG Music Publishing, Inc. (BMI), Based on the Original Arrangement by Artie Butler, Conducted by Ron Walters, Jr. Piano: Barry Manilow, Ron Pedley, Scott Erickson, Kevin Bassinson, Randy Kerber, Ron Walters, Jr.